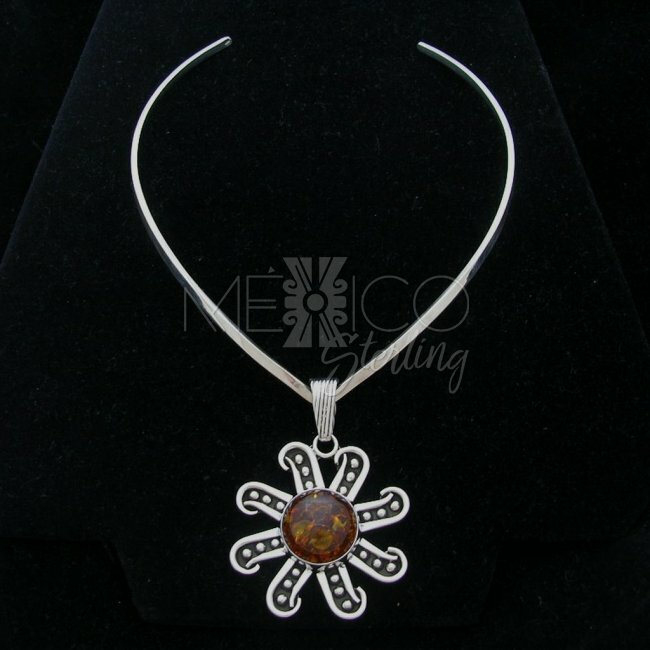 Taxco Sterling Silver Amber Star Pendant [PND2349] - $62.00 : Mexico Sterling Silver Jewelry, Proundly from Mexico to the world. 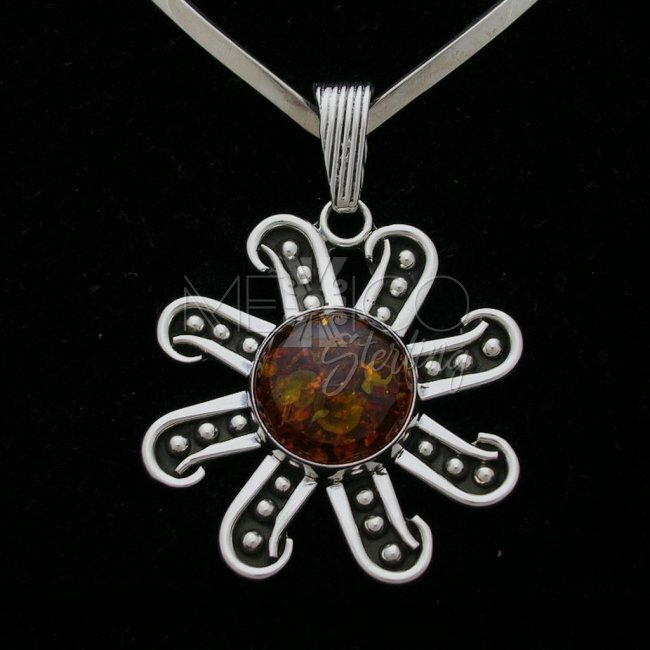 Dimensions: Width : 2" Length : 2 3/4"
The style on the works of this artisan is always different and unique. I love this design in particular, because of its simplicity. You know what they say, "Less is more" and this is a perfect example. 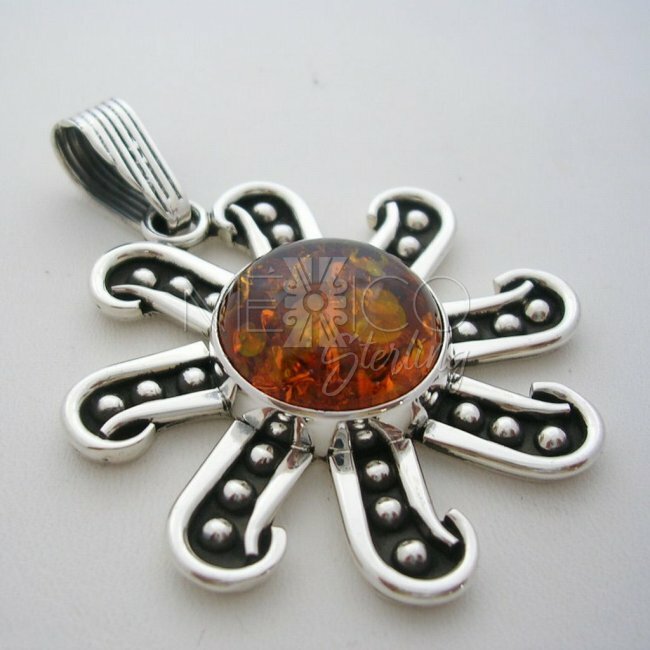 It's a contemporary piece of jewelry that shows creativity and artistic thinking. 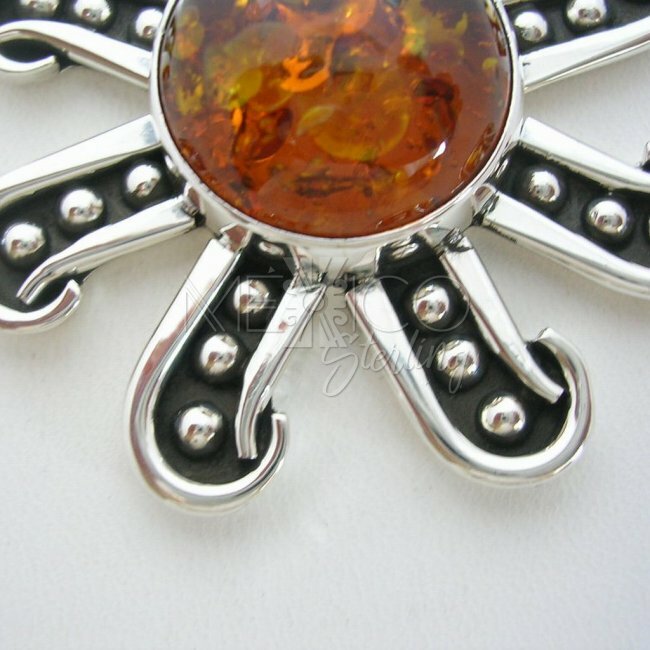 It's definitely a fashion piece and a gorgeous Taxco jewel. 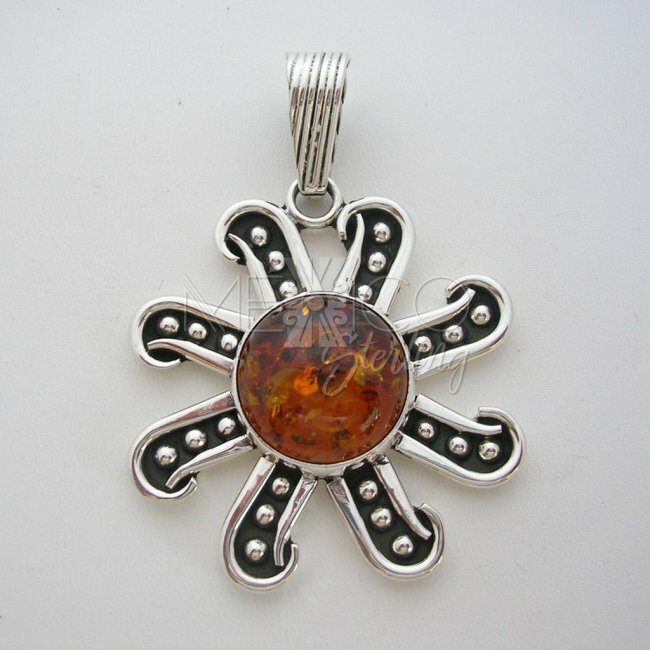 It also carries a wonderful Amber in the centerpiece in perfect condition. I was entirely handmade and it is substantial in weight for its size and built.